Antivirus software detects, and then disarms or removes malicious programs or malware, often referred to as ‘viruses’. 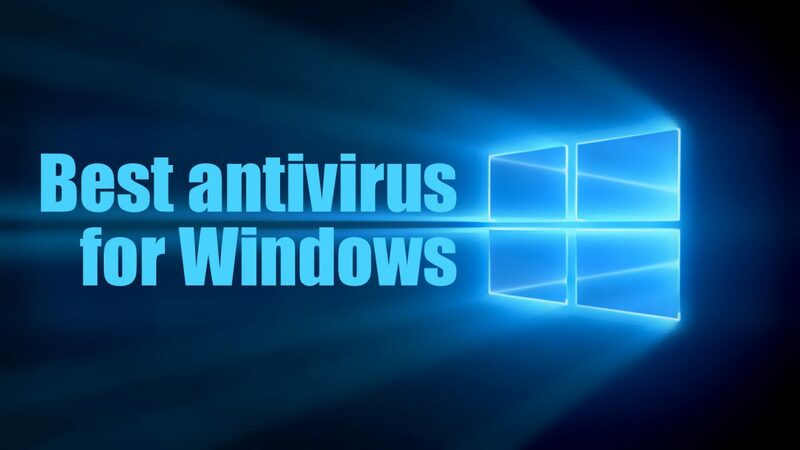 To help prevent viruses infecting your PC you must install antivirus, and then regularly update your antivirus software. Viruses are arguably a minor part of the malware now prevalent on the web. More important now is security of personal data and protection from ransomware. Security exploits aren’t about show-off hackers massaging their egos, anymore, but about monetising their malware. Commercial packages usually deliver the best-rated protection, though, and sometimes include extras like password managers, web filtering, antiphishing tech and more. If you’re looking for the maximum security, spending a little money is worth it. Bitdefender’s engine is one of the most accurate and reliable around, for instance, loved by all the big independent testers. Web filtering blocks access to malicious sites, a secure browser keeps your online financial transactions safe, and there’s a password manager which auto-completes credit card details in web forms. An excellent anti-phishing module alerts you to malicious links in your search engine results, and blocks access to dangerous sites. Alternatively, you can purchase the Total Security 2018 edition. It adds a firewall, parental control, antispam, file encryption and more, and covers up to five PCs, Macs and Android devices. Bitdefender has a fine technical reputation, too. Bitdefender Antivirus Plus 2018’s annual $39.99 fee may look expensive. But there are compensations. Total Protection is a big claim, but McAfee lives up to its promise on many fronts. The major components to Total Protection are the antivirus scanner and web/email protection. The scanner is billed as award-winning and is certainly up there with the best of the signature-based scanners. The WebAdvisor tool scans downloads for malicious payloads, and identifies any suspicious URLs. Backing this is the associated anti-spam module, designed to keep your inbox free of malicious pink stuff. Included in the cost is a subscription to Intel’s True Key, which is basically a password manager. The difference is that it uses multi-factor authentication, including fingerprints or your own face. File Lock is a data vault like most others. It will password-protect your valuable files against stealthy Trojans, ransomware, and local prying eyes. F-Secure Anti-Virus will make a refreshing change. There are no unnecessary extras here, no bonus features. You just get straightforward real-time browsing and antivirus protection. The package typically receives maximum marks for protection from AV-Test, and generally scores highly with AV-Comparatives, too. Kaspersky mainly focusses on privacy. There’s a secure browser to prevent web sites tracking you, and the Kaspersky Safe Money utility. We’ve consistently found Kaspersky to be amongst the best at blocking malware, and removing it from an infected system. If the frame around your browser turns green, you’re secure. If it’s orange, there’s a problem. The program is easy to use. A well-designed interface has just the right number of buttons and options. There are wide range of tools suitable for all kinds of users, from domestic to small business. ESET NOD32 Antivirus comes with real-time malware protection, an anti-ransomware layer, exploit protection, URL filtering to block malicious websites, and modules to prevent attacks using PowerShell and malicious scripts. The independent testing labs give ESET NOD32 Antivirus 8 generally high ratings, and it did a great job in malicious URL blocking test. A Device Control module limits the risk of infection from other devices by controlling access to USB sticks, external hard drives, optical storage media, even devices connecting by Bluetooth and FireWire. ESET NOD32 Antivirus isn’t aimed at beginners. The interface is clumsy sometimes, some features are very advanced. Avast Pro Antivirus 2015 includes an innovative scan for home router security problems, as well as a hardened browser for financial transactions and a number of other useful tools. Even so, you’ll be better off selecting one of our Editors’ Choice antivirus products.